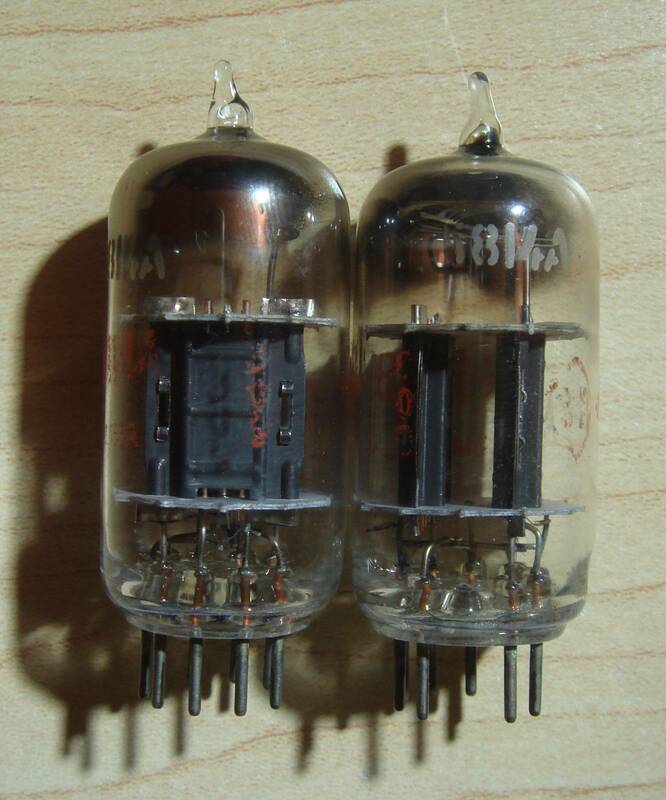 This entry was posted in Vacuum Tubes and tagged 12au7/ECC82, 5814, CBS-Hytron, Hytron by tubemaze. Bookmark the permalink. Great sounding tube. I’s like good black coffee – fantastic balance, great depth, and a bit of sweetness that lingers in the back of your mouth. Great details and sound stage. Definitely one of the best tubes in 12au7 family – worth every penny. Buy them why they last. New tubes definitely can’t compare to these kind of NOS. I’ll be honest, I tried several times to like these tubes, but they just aren’t doing it for me. I mean, they’re always following other VERY good tubes in the tube roll, but still I just find them a bit boring. Like a brown 70’s sofa. I will say that I’ve experienced some nice dynamic swings and little special moments, but other than that just haven’t been able to keep them in without getting bored. I kinda think the 5814 sylvania’s smash these. Listening to these with Tesla’s in the first position of the preamp, CBS in the second. It sounds really, really good. I”m getting sold on these CBS tubes in a big way. Yes, balance….great dynamics…nice and smooth. , now I’m hearing it (and seeing it). Ironically I just took the sylvania 5814’s out before this because I was starting to think the combo with the Tesla’s was a bit bright (still really amazing, but was looking for a bit more midrange). Probably worth noting, I’ve recent led upgraded my CD source and am playing nicely recorded live jazz at the moment. Tubes across the board are sounding much better, and some that I didn’t quite enjoy in the past are really starting to shine. Plus the combination with he Teslas doesn’t hurt 🙂 I really natural, balanced and enjoyable experience with this.